YAP Tracker :: 2019 Canto Vocal Programs: unique learning experience in Europe and in the US! Posts > 2019 Canto Vocal Programs: unique learning experience in Europe and in the US! 2019 Canto Vocal Programs: unique learning experience in Europe and in the US! 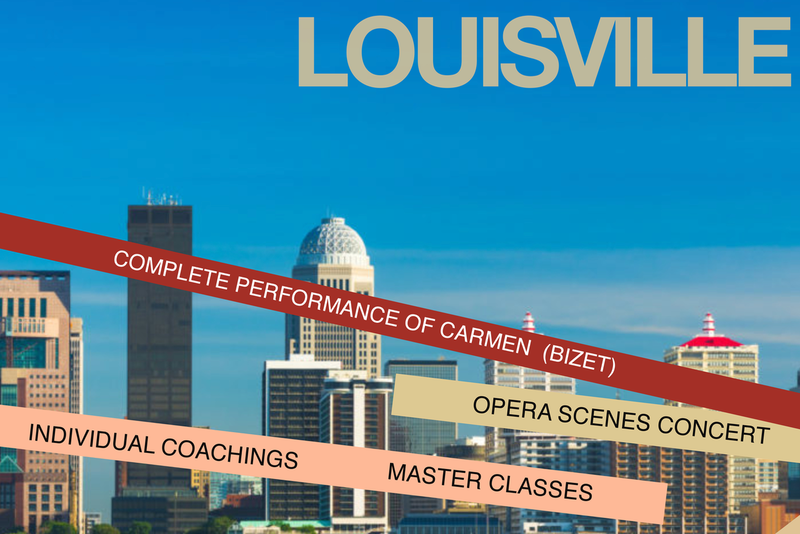 After many successful programs in Europe and the US, Canto Vocal Programs returns for its second summer in Louisville, KY. Canto-Louisville's expert faculty (MET, Les Maîtres Sonneurs, Opera Theatre of St Louis, Ópera de Colombia, CCM) helps each singer develop the musical, linguistic and dramatic skills that are the hallmark of great performers. The 2019 program offers opportunities to learn and perform through public master classes, concerts and a staged production of Carmen. Daily coachings and classes are provided with emphasis on style as well as French conversation classes. Join us for a unique learning experience with the Canto team! More information about all our programs (Toulouse, Zagreb and Louisville) on our website.